The fascination with chilies has lasted well over 9 thousand years! What is it about chilies that produce this level of devotion? Frankly, it’s the impact that chilies have on us when we eat them. Each of our reactions depend on which of the over 3000 varieties we happen to consume at any given time. Certainly though, the quality of Mexican chilies has given rise to an entire national cuisine and culture. From the pre-Colombian era the chili has been used to add flavor and taste to fruits and vegetables. TAJÍN honors this ancestral heritage by using an exquisite combination of 100% Mexican chilies of the highest quality. Our chilies are carefully harvested with maximum attention given to hygiene and health during the crucial drying and grinding process to insure the best possible result no matter what culinary masterpiece is underway! The history of the chili is long, picturesque and somewhat disputed… there are those who say the chili’s origins are in South America without establishing where on the continent. Others assure us that their distinguished origin in in North America and specifically in Mexico. We endorse this last theory; not only based on the national pride Mexicans naturally feel toward a good chili, but because there is sufficient evidence to support that argument. Among other things is the fact the name “chili” comes from the Nahuatl language and at the time of the Spanish invasion the cultivation and trading in a large variety of chilies was very common. In a large bowl, combine flour, tajin seasoning, pepper and beer, whisk together well. Dip shrimp into batter, making sure shrimp coated well. Fry shrimp in batches. Fry shrimp 3 to 4 minutes or until golden brown. Remove shrimp from oil with a slotted spoon and place on paper tower lined dish, to drain. Enjoy! Note: Tajin seasoning contains, chilies peppers, lime and salt. Going to look for that spice Ilove hot foods the shrimp looks drool worthy! I love using a beer batter! It always turns out so great! The shrimp look yummy, Christine! Now you know how much I love shrimp! These look nom worthy! I love shrimp! Amazing dish!! While I have had beer battered shrimp, the addition of the heat was not in there. Looks like I am missing out, will definitely try this spicy version. Delicious post! Thank you, Tina! I hope you enjoy it. I have never tried Tajin seasoning. 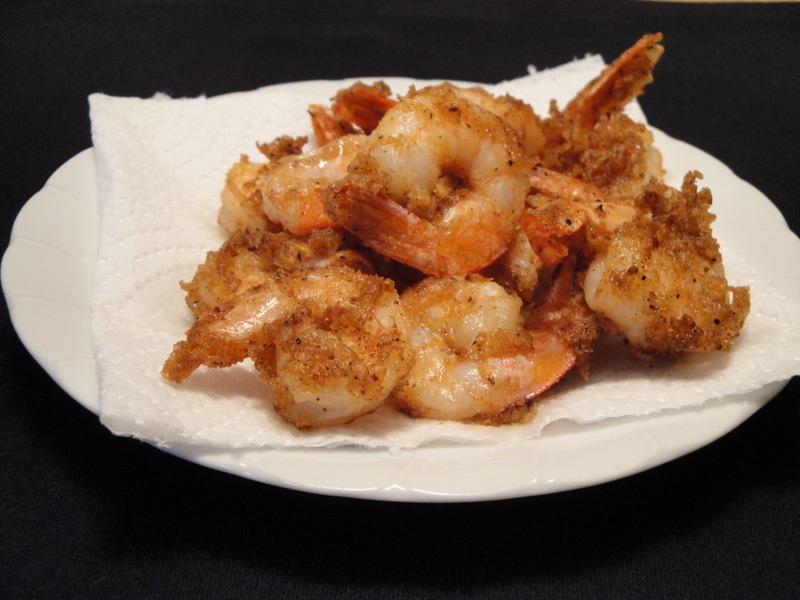 Thanks for sharing another awesome version of beer battered fried shrimps, Christine! Definitely a must try! Beer batters are yummy and your picture is great! Good post Christine. I have had Chicken Tajin before and I can just imagine how yummy beer-battered shrimp would be with the Tajin seasoning! Thanks for sharing! You had me at fried shrimp--love that the batter has a nice little kick to it, too!